Strengths coaching is an approach to coaching that intentionally focuses on a person's natural ability. My first goal as a strengths coach is to help an individual capitalize on their natural ability, that is, those ways of thinking, feeling and behaving that they can productively apply with the most ease and enjoyment. In addition, I work with individuals to help them understand and manage their vulnerability, that is, the situations and places where this natural ability can be easily misunderstood or unproductively applied. The people we coach will also need some help in understanding and owning their liabilities or disabilities, that is, those required ways of thinking, feeling or behaving that don't come with either ease or enjoyment. Finally, I find that strengths coaching must eventually focus on compatibility, that is, how a person's abilities coexist and cooperate with the abilities of others. 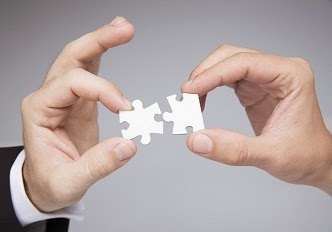 Compatibility is crucial in both personal and professional success. It is at the core of great partnerships, great teams, great marriages and great families. As a result, the people we coach are often very interested in finding a magic formula for compatibility. Most of us think we will experience compatibility when we can find and choose the perfect partner or teammate. I am wondering if this is why people who use the Clifton StrengthsFinder are often tempted to use the CSF as a selection instrument. I can almost hear them thinking, "If I can just avoid the person that has incompatible themes and find the person who has compatible themes, everything will be perfect. If I can just find the magic CSF formula, we will all live happily ever after." Embedded in this thinking are a couple of mistaken assumptions. The first assumption is that compatibility is something this is primarily discovered, rather than created. The second assumption is that since compatibility by definition is about "congenial, agreeable and harmonious existence and performance," it is most likely to occur when differences are limited and tension is eliminated. My theory is that we gravitate to the assumption of compatibility via discovery because it is much easier than believing in compatibility via development. If compatibility is a magic formula, I simply need to have people take an assessment and then apply the formula. Developing compatibility is much more difficult than discovering compatibility. Finding the perfect partner or mate seems an easier option than figuring out how to be the perfect partner or mate. I am not suggesting that making wise selection decisions is unimportant. While there are those rare times in life when we do get to choose a spouse, a friend, a roommate or an employee, much of our life is spent living and working with people we didn't choose. For example, we don't get to choose our parents and in most cases, parents don't get to choose their kids. Many times students don't get to choose their teachers, and teachers don't get to choose their students. Most of us don't have the option of saying, "I don't think I can live/work with you because we are incompatible.” We don't have the luxury of delaying collaboration until we find the perfect coworker. Instead most of us need to quickly figure out "How can I best work with this person or these people?" Many people we coach will ask the question, “Are we compatible?” There will be times where that question is relevant, but in most cases a better and more productive question is, "How could we be compatible?” and "How could we work or live together in a more harmonious, agreeable and congenial manner? The other flawed assumption related to compatibility is that there are some CSF themes that are mutually exclusive. That is, they just don't mix. Something akin to how water and fire don't mix. When you add water to fire the fire is extinguished and when you add fire to water the water is evaporated. Granted, there are certainly some themes that are more unlikely to occur together as dominant themes within a person. For example, Command and Harmony are not likely to occur together as dominant themes, neither are Maximizer or Restorative. However, just because two themes are unlikely to occur together within a person, it is wrong and unproductive to assume that these same two themes are incompatible and antagonistic when they occur in two different people. Instead of assuming that Command and Harmony are incompatible themes, it would be much more beneficial for a coach to help people with these themes to think about how they could work together in a more harmonious, agreeable or congenial way. How can the theme of one person positively enhance the theme of another person in a way that both themes can be authentically utilized at the same time? Let's go back to the example of fire and water. While water can extinguish fire and fire can burn up (evaporate) water, are there situations where they can co-exist simultaneously and productively? The answer is yes. Water could actually help to manage or control a fire and keep it from becoming a wildfire. Water, when applied to things that you don't want to burn, will control the fire. In the same way, water might be more valuable when it is warmer or boiling. When a regulated amount of fire is applied to water, the temperature of the water will increase and as a result the value of the water might be improved. Sometimes we are lucky and stumble across the perfectly compatible partner. But it’s more likely that compatibility is a long journey, developed through work and awareness. So this is the first step, change the conversation. How can you be a great partner to others? What do you bring that the other may need? What can you give to a compatible partnership, and what can you achieve that’s greater together? 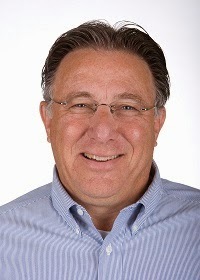 Curt Liesveld is a Learning and Development Senior Consultant with Gallup. He is an expert on strengths-based performance coaching and trains coaches for client organizations and within Gallup on best practices and strategies that maximize individual talents. As coauthor of the book Living Your Strengths, Liesveld has played a significant role in bringing a strengths-based focus to churches and faith-based organizations around the world. Curt's top five strengths: Responsibility | Relator | Maximizer | Learner | Analytical. Thanks for the great fire and water example. I'm going to use that with a team I'm working with this week! Curt, you really uncovered something special and said something new with this acticle. Kudos!